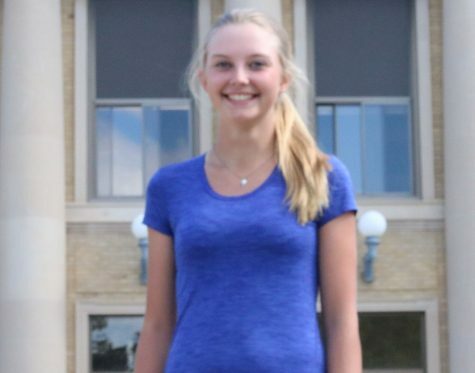 Jade Hanson is a junior at Owatonna High School. This is her second year being a part of the OHS Magnet family, and she is ecstatic to be taking on the role of Editor- In -Chief. Aside from Magnet, Hanson is also involved in Big Brothers -Big Sisters, Student Council, Tennis (playing for the girls varsity team in the fall, and managing the boys in the spring), being the vice president of Key Club and playing the bass in Symphony Orchestra. When she isn’t editing stories, playing tennis or babysitting, she is spending every moment with her friends and family. Hanson enjoys spending time outside, especially when it involves fishing or four wheeling. Hanson’s friends would say she spends way too much time listening to country music, rewatching the Fast and Furious series and supporting the Vikings. The quote that Hanson lives by is found in Furious 7, when Vin Diesel (Dominic Toretto) said, “I don’t have friends, I’ve got family.” She is an avid coffee drinker who really enjoys her cappuccinos. Find her on Instagram and Snap @jadopotato02.